National Bank for Agriculture and Rural Development has released the call letters for its Development Assistant Exam. Online Examination was scheduled from 28th November 2015. 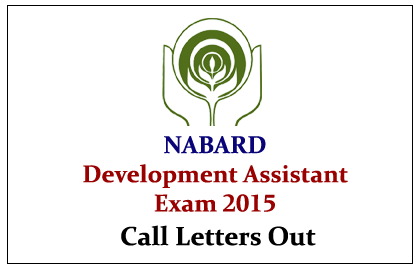 Candidates those who have applied for this examination can download their call letters here.